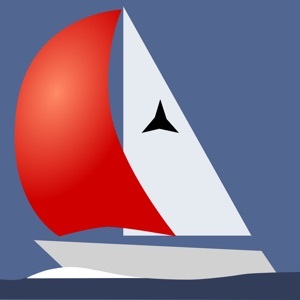 OVERVIEW Harry's Sailor is a GPS based navigation tool / sailing companion. 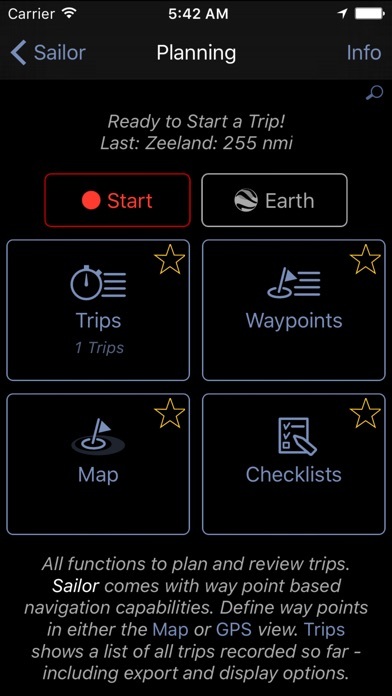 Like all apps from Harry's GPS Suite it uses an advanced GPS Engine developed and maintained for a decade. 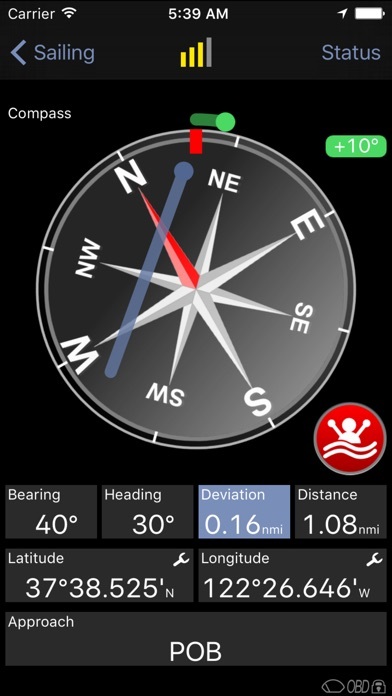 For this Sailor app, the engine was expanded for the specific situation on a ship. One example for this expansion is treatment of speed. GPS is weak delivering exact speed informations at low vessel speeds making it necessary to utilize special algorithms. FEATURES This version brings a number of unique features to the iPhone platform. 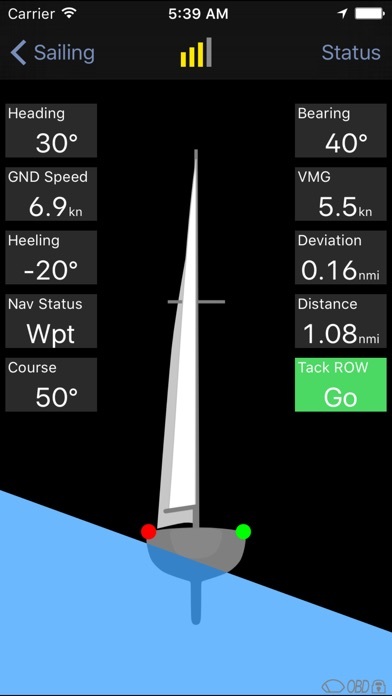 Examples are: visualization and measurement of heeling including a visual alarm when heeling in larger that 20 / 25 degree; display of racing rule #10: when boats are on opposite tacks, a port-tack boat shall keep clear of a starboard-tack boat; full navigation support, course can be defined using polar coordinates, defined waypoints, or using a course given; full integration of Google Maps; while navigation is started, deviation from course, distance to waypoint, and velocity made good (VMG) is displayed continuously; extensive reference on nautic information: signal flags, morse code, buoyages, lights and shapes, wind speed; finally, a full trip recorder including statistics, ports visited, and Google Earth export. 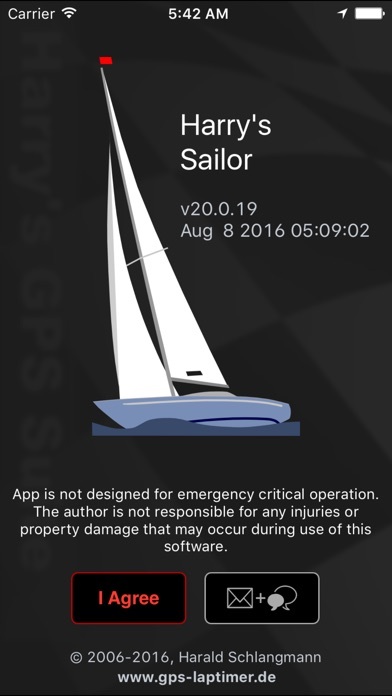 MORE INFORMATION Sailor requires an iOS device featuring GPS. In case you want to use an iPod touch, an external GPS mouse needs to be added. 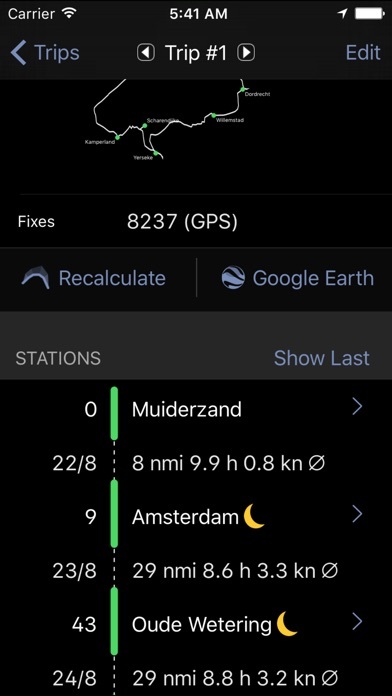 Compatible devices are listed on www.gps-laptimer.de/compatibility/ios.